In the 1960s there were three major news networks and CBS ruled the airwaves. Youth movements were in full force all over the country championing Women’s Liberation, fighting for Civil Rights, and protesting the war in Vietnam. As attitudes and perspectives changed and voices of a generation made themselves heard, technology, too, was changing. The portable hand held video camera was born. Equipped with instant playback, it imprinted on the generational landscape an inexpensive and accessible tool to capture the times. A group of intrepid journalists flocked to this method of storytelling, and baptized their renegade collective as the Videofreex. 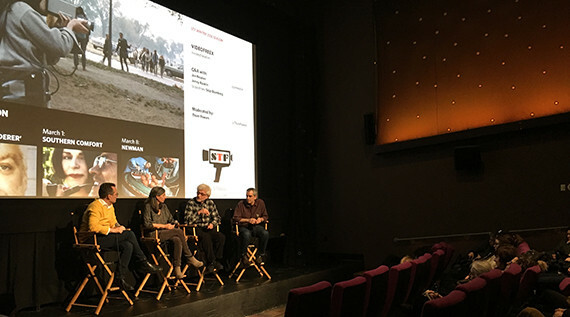 A spontaneous and communal bunch, “just rolling” worked because each Videofreex player had a role that empowered the individual. From shooting to tech support, from accounting to cooking, unique strengths were utilized and thus enabled the dynamic group. At a time when gender roles were being examined, for the Videofreex, men and women were learning at the same time, and pre-assigned roles were out of the question. For the Videofreex, it came down to matters of equity and a spirit of spontaneity. CBS tapped into this spirit and in an effort to extend its primetime scope, the VideoFreex were hired to travel across the United States and tell the stories of the country. HERE COME THE VIDEOFREEX features interviews with Abbie Hoffman, legendary activist who co-founded the Youth International Party. 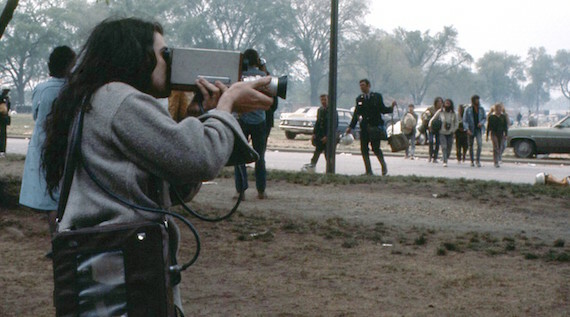 Hoffman believed that “You measure a democracy by the freedom it gives its dissidents, not the freedom it gives its assimilated conformists.” Though this quote is not in the film, the VideoFreex had intimate access to voices like Abbie’s that leaped off the edges of expectation. CBS knew this, but after Illinois Black Panther Leader Fred Hampton was killed at age 21 in a Chicago police raid, the VideoFreex hotly disputed the CBS one dimensional decision to air mourners attending Hampton’s funeral. Just weeks earlier, the Freex had interviewed Hampton. They had rare footage that could be included in CBS coverage and told another story. CBS refused, and the VideoFreex were out of a job, but not before fitting in one last expression of “damn the man” and getting their tapes back.